I'm rarely organized or even coherent on Monday mornings, but today I actually had a dressy, pulled-together outfit all ready to go. That plan quickly went out the window upon realizing we finally had our first real snowfall of the season! My look took a much more casual turn to accommodate some trusty rain boots. 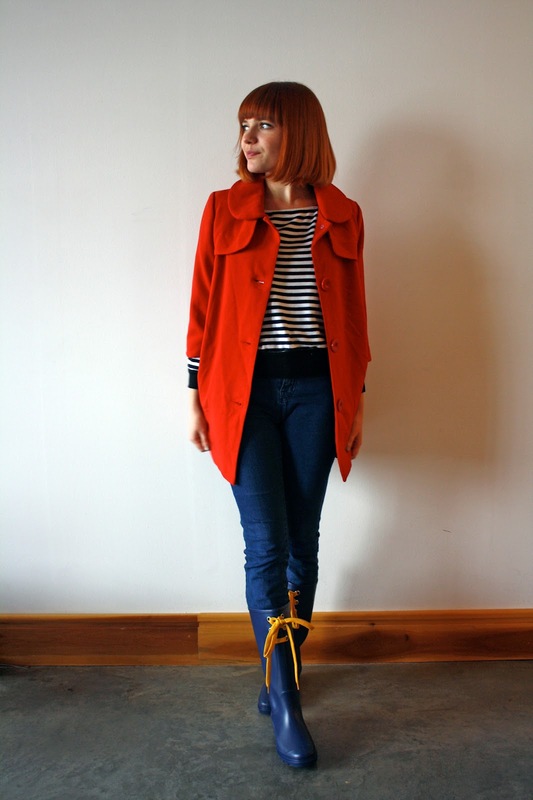 Love that coat! The sleeves are too cute! I adore your coat. The color is perfect and I love the vintage style. This is adorable! Love love the boots! Great combination of colors. This coat is amazing! I really like! This is such a lovely combinations of colors for such a dreary day. Lovin' in! First snowfall?! That's crazy!! 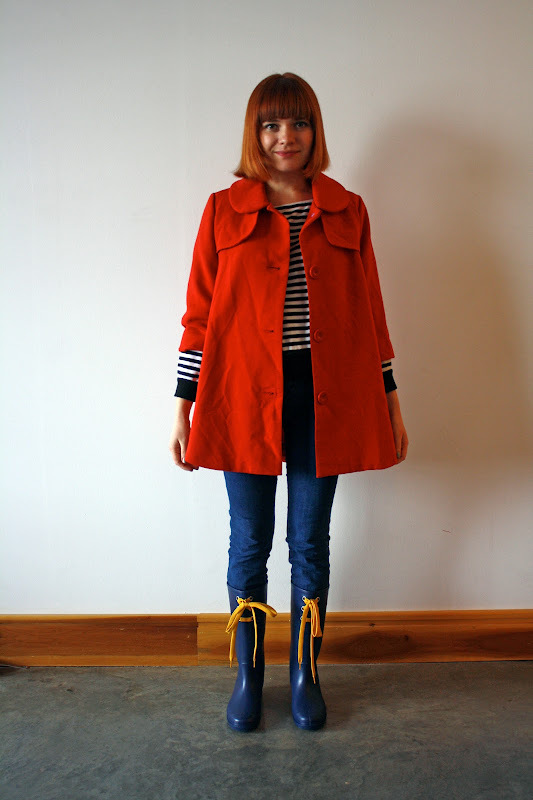 Regardless, I love this bright red coat, it looks awesome with your striped top and wellies. You look ready for the snow! 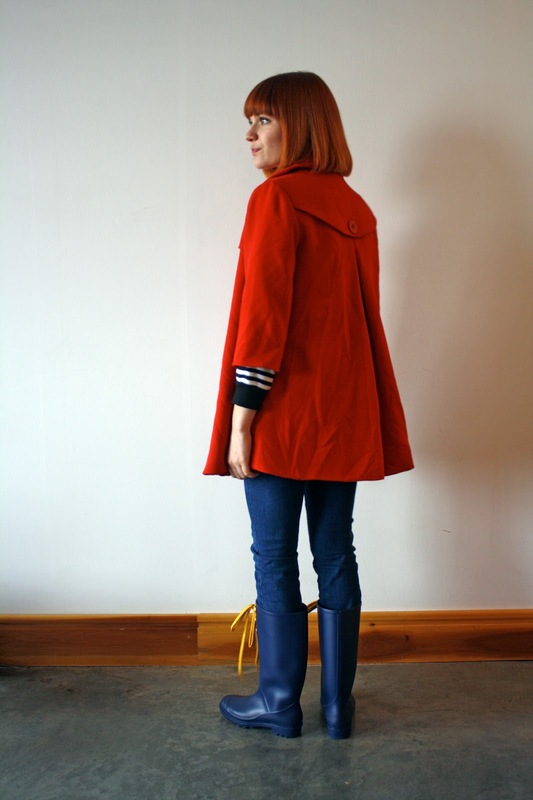 I'm in love with your pretty red coat. I love all the dynamics of this outfit! From the shapes each piece makes and to the color scheme.